As we hiked up the lower slopes of Mount Esja in western Iceland, the vast sweeps of Nootka lupine and cow parsley started giving way to other plants. 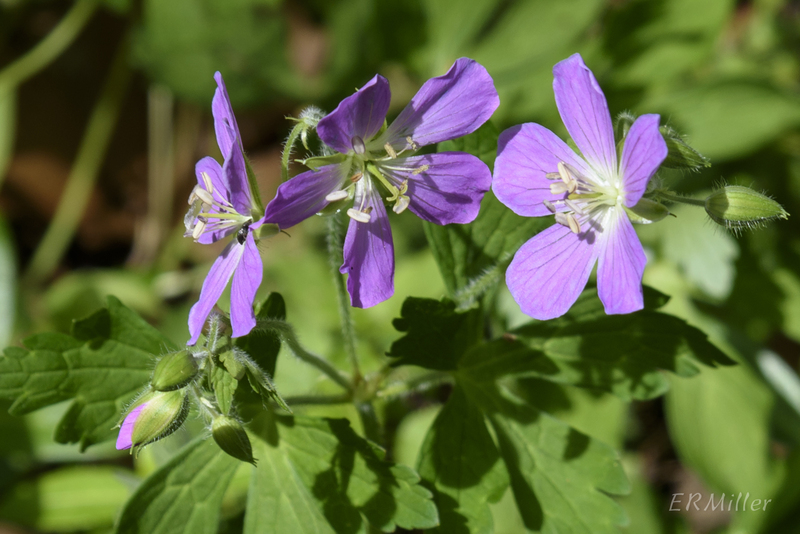 I did a double-take when we spotted this one: could it be Geranium maculatum? No, but it’s close. 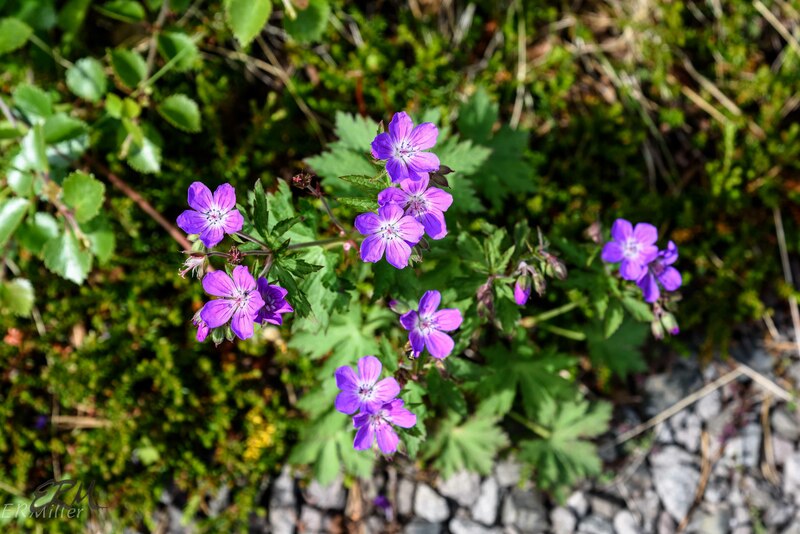 It’s Geranium sylvaticum, a species native to northern Europe (including Iceland). 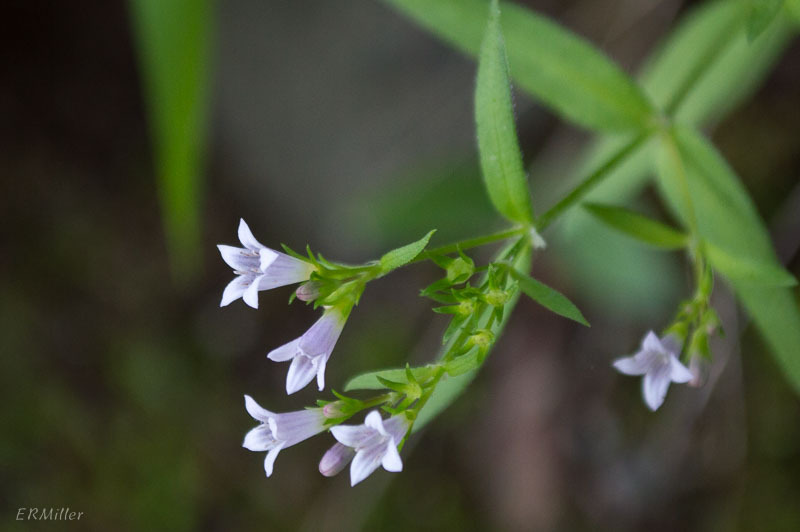 It’s been introduced to North America and can be found in Quebec and Greenland, so no overlap with G. maculatum, which can be found through most of the eastern and mid-western US (with scattered occurrences in the Great Plains). G. sylvaticum stands about 12-20″ tall (about the same size as G. maculatum), and blooms in June. It has a fairly widespread distribution in Iceland, though I never saw much of it in any one place. Look for it at lower elevations in shady or sheltered areas, especially near stands of trees and in birch scrublands. It’s showy and therefore hard to miss. In addition to Mount Esja, I saw it blooming on the Snæfellsnes penninsula, and in a wooded vale near Ísafjörðer in the Westfjords region. 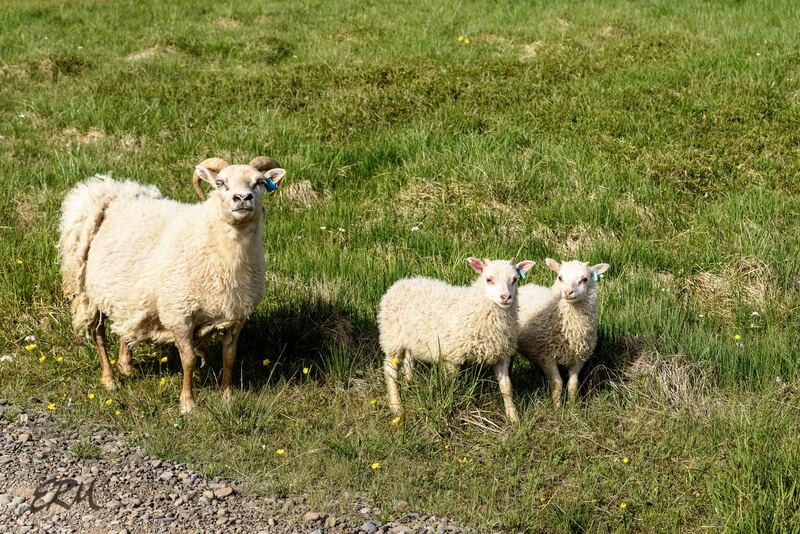 This wasn’t the only look-alike we spotted in Iceland. More on those in upcoming posts. 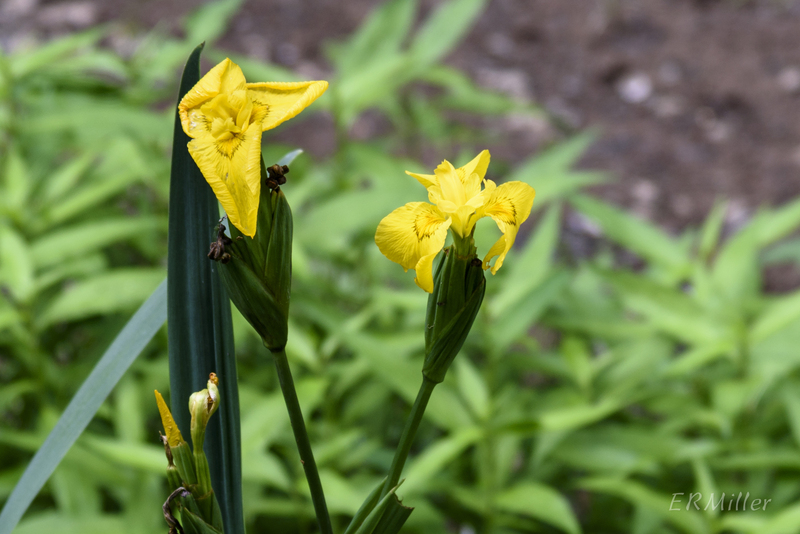 My recent post about yellow flag iris (“A Beautiful, Useful Pest”) was written in the lounge at Dulles International Airport while I waited for my flight to Iceland. It struck me as funny, then, that the next day, when we parked our rental car near a trailhead and started hiking, that the first flowers I noticed were the Nootka lupines. 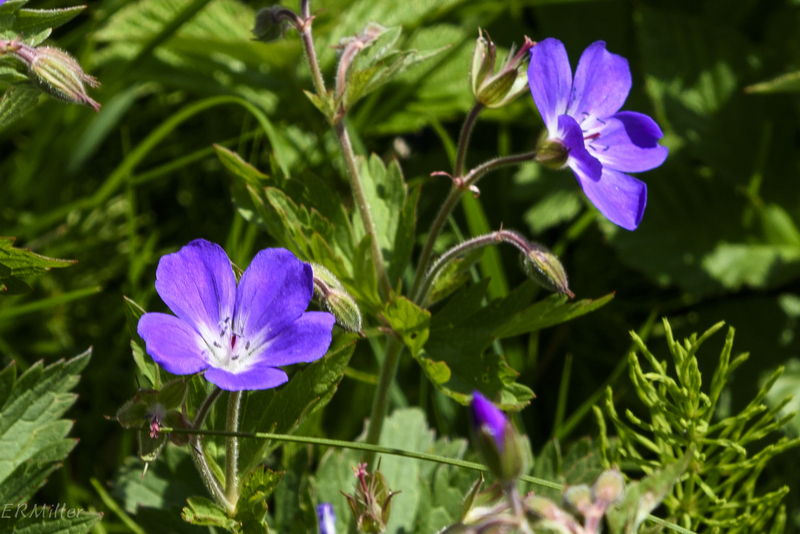 They were everywhere – wide swaths of blue-and-white flowers ascending the slopes of Mount Esja. There was so much of it, I wondered if it was an alien invasive. In my limited experience, it’s unusual for native plants to form such massive colonies. Was this another beautiful, useful pest? Short answer: yes. It’s native to the coastal areas of northwestern North American, and is alien to Iceland. But it didn’t sneak in via packing on a cargo ship or by hitchhiking on other agricultural material. 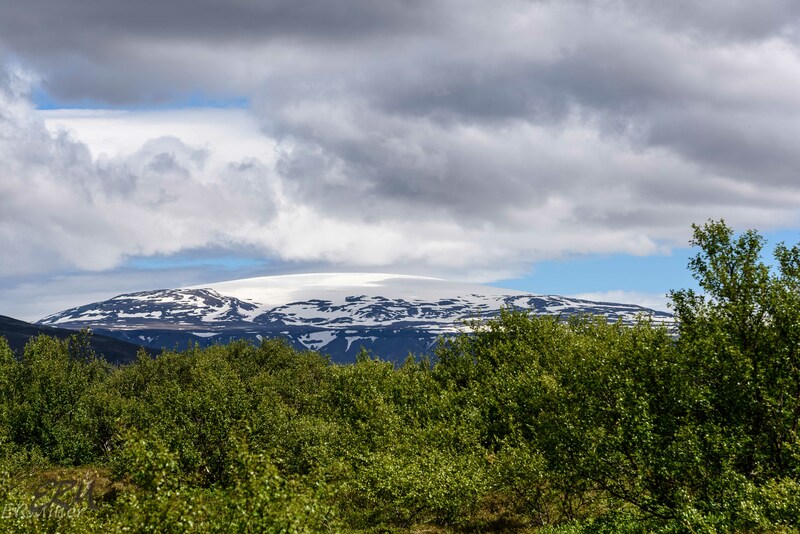 It was introduced, possibly as early as the late 1800s (I’ve read conflicting stories), and certainly by the mid-1900s, when it was planted deliberately and extensively by first the Icelandic Forestry Service, and later by the Soil Conservation Service, to help with land reclamation. 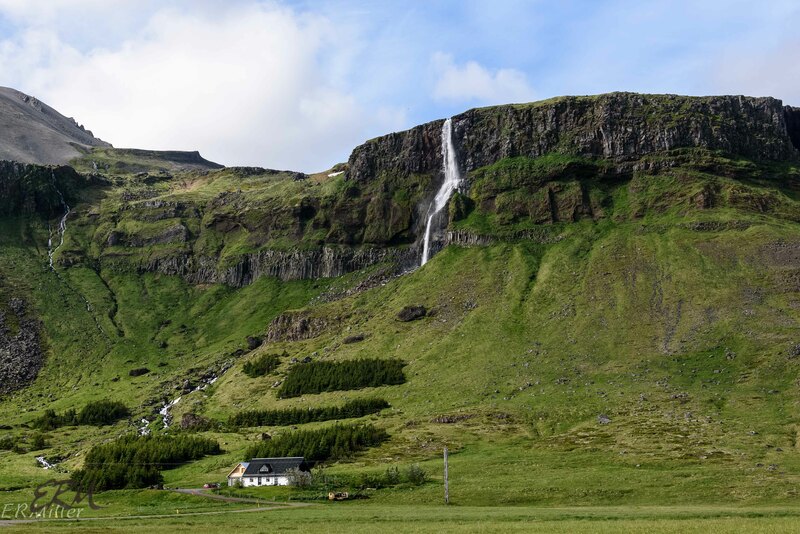 You may recall from the previous post that after Icelandic settlement, deforestation and overgrazing led to lifeless soil, which is easily eroded and transported by winds. 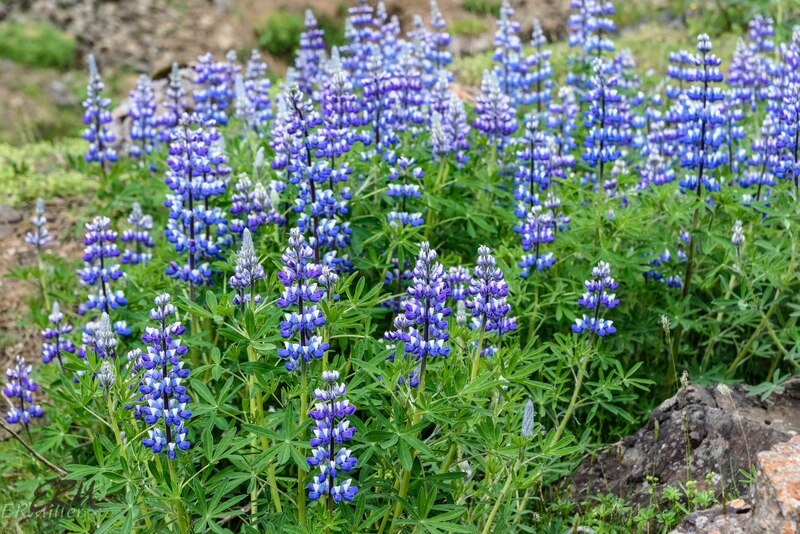 The Nootka lupine grows fast and roots well, keeping soils in place. It’s perfectly suited to Iceland’s cool, wet growing conditions. And like most members of the Fabaceae (pea family), it takes nitrogen from the air and fixes it in the soil, which together with decaying plant material (from dead lupines) results in soil fertile enough for native plants to colonize. It’s even thought to have helped with the problem of sandstorm-induced road closures in the eastern parts of the country. But (of course there’s a “but”), it’s too aggressive. It grows tall enough to form a canopy that blocks sunlight to mosses and lichens (which are important pioneer species). It can invade nearby plant communities, outcompete the natives, and form monocultural stands. So yes, it exhibits the usual alien-invasive characteristics. 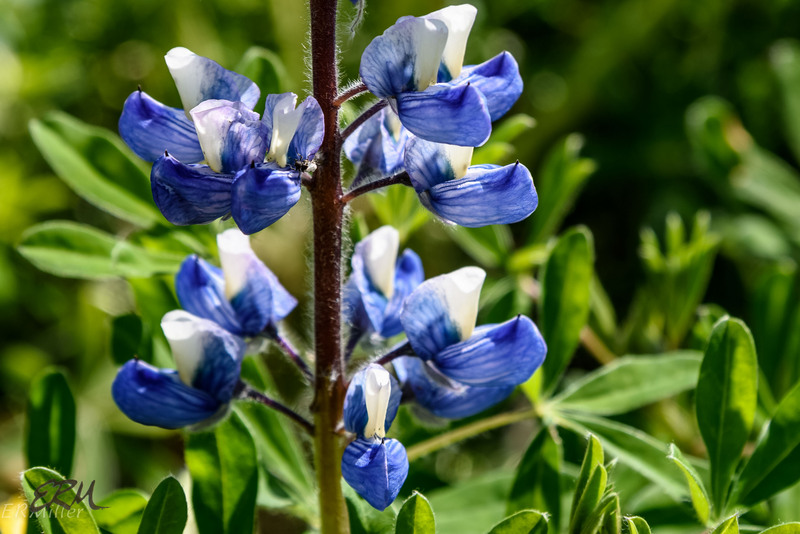 There’s a little more good news, though: studies have shown that in some sites, lupine colonies will eventually decline to the point where they no longer out-compete other species. 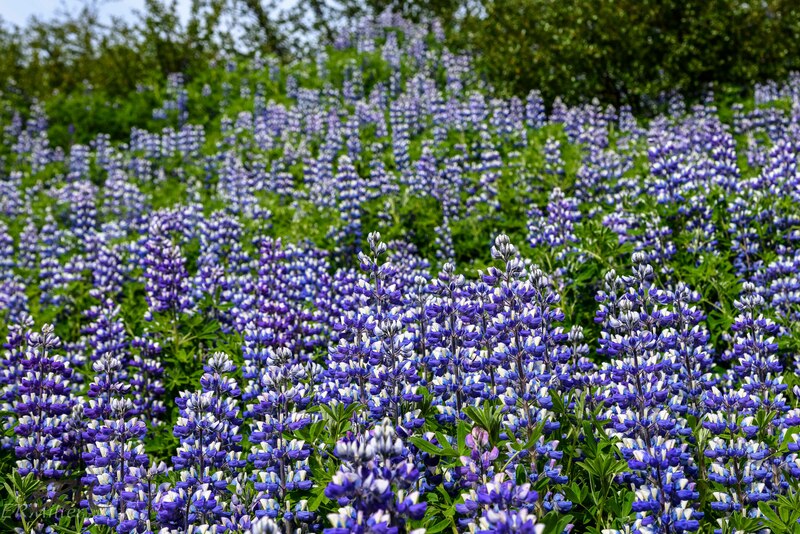 It seems that if managed correctly, the Nootka lupine will continue to be a valuable tool for soil reclamation. 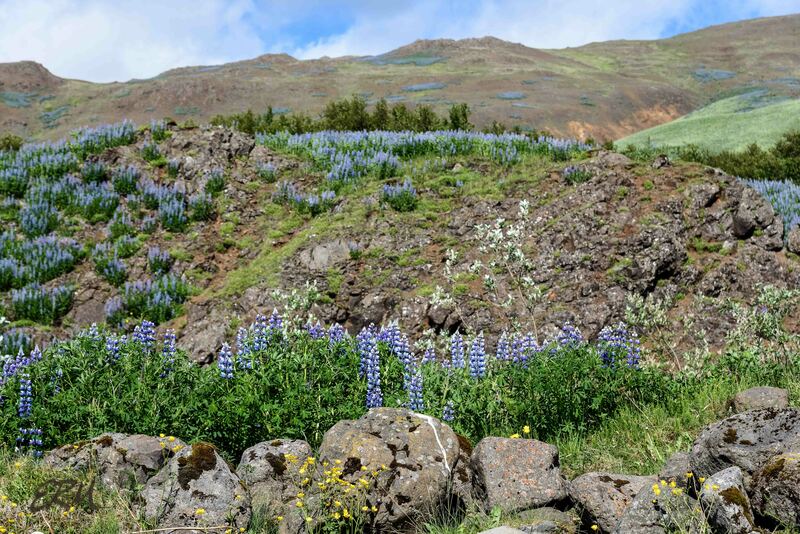 The Nootka lupines pictured in my last post were in a little nature preserve near the town of Ísafjörður, in the Westfjords region of Iceland. We just returned from a ten day trip to the south, west, and north of that wonderful country, the main purpose of which was to see the midnight sun and the gorgeous scenery. But nothing I’d read prepared me for the variety of wildflowers. I haven’t yet identified everything I photographed, but can estimate that I saw about 60 different species of plants in flower. 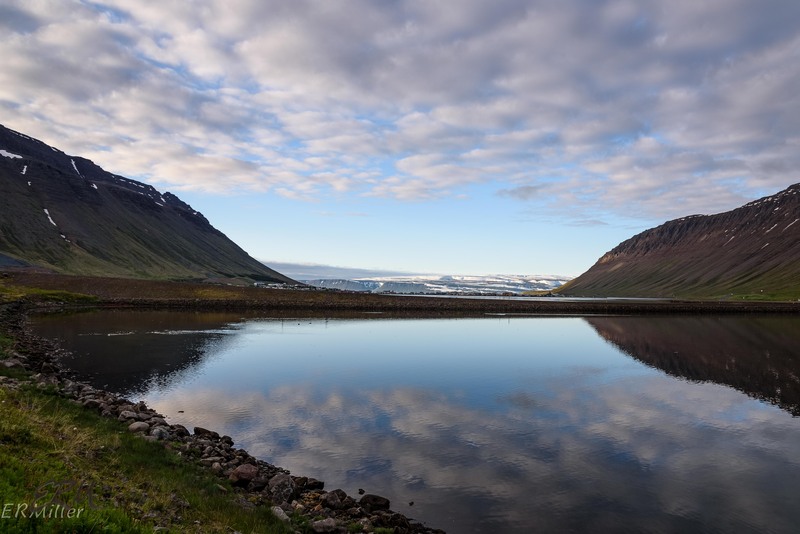 Iceland sits just south of the Arctic circle in the Atlantic ocean, but despite the high latitude it has a cool maritime climate, due to the effects of the North Atlantic current from the south and east and the East Greenland current from the north. A semi-permanent low pressure system brings in both warm and cool air masses. That plus the effects of topography (mountains to almost 7000′ in elevation ring the interior volcanic plateau, and about 12% of the land is covered by glaciers) yield highly active weather within a rather narrow temperature range (on average). There’s plenty of fresh water – groundwater and runoff from glaciers and snowpacks – running in small, swift streams everywhere, with plenty of larger rivers, too, so that the land is beautifully verdant at lower elevations. There’s a huge variety of grasses, rushes, and sedges, as well as mosses and lichens, and a good variety of boreal and alpine forbs. But there aren’t many trees. When Nordic settlers arrived in the late 800s CE, about one quarter to one half of the land was forested (mostly with birch species), but after a few hundred years of harvesting trees for building houses and ships, fueling iron smelters, and clearing land for sheep to graze, virtually no trees were left. Subsequent overgrazing by sheep led to serious degradation of the soil, so that many areas still have almost no plant life, and without plants to hold the soil in place the windy weather can create massive dust storms. Only about 1.4% of the total landmass is considered arable. Reforestation efforts have been under way since the mid-20th century, so there are small stands of trees dotted about, but there’s not much of anything like a forest. Back to wildflowers: I was happy to find that in most cases I could tell right away what family plants were in, and in many cases I got the genus correct, too, even before opening the wonderful book my husband found and purchased for me: A Guide to the Flowering Plants and Ferns of Iceland (Hörður Kristinsson, 3rd ed., in English). I also got a lot of use from the poster-sized Botanical Map of Iceland published (in Icelandic, English, and German) by Mál og menning (Reykjavík). Here’s a clue: Nootka lupines (Lupinus nootkatensis, Fabaceae) do not grow in the Maryland Piedmont. I’ve been travelling and won’t be home for a few more days, but rest assured I have plenty of wildflower pictures to share, as soon as I have a chance to develop them and identify and research the plants. Here’s another clue: I’m posting from a cafe (free wifi!) at lattiutue 65°41′ N, and lupines are an introduced species here. More in a few days! After finding table mountain pine (Pinus pungens) on Sugarloaf Mountain earlier this year, I did a little research on how to identify pines, intending to write a post about it. And since the Maryland Native Plant Society designated 2016 The Year of the Conifer, I of course checked their website, where I found a key, which was great except now it seemed pointless to write the post. 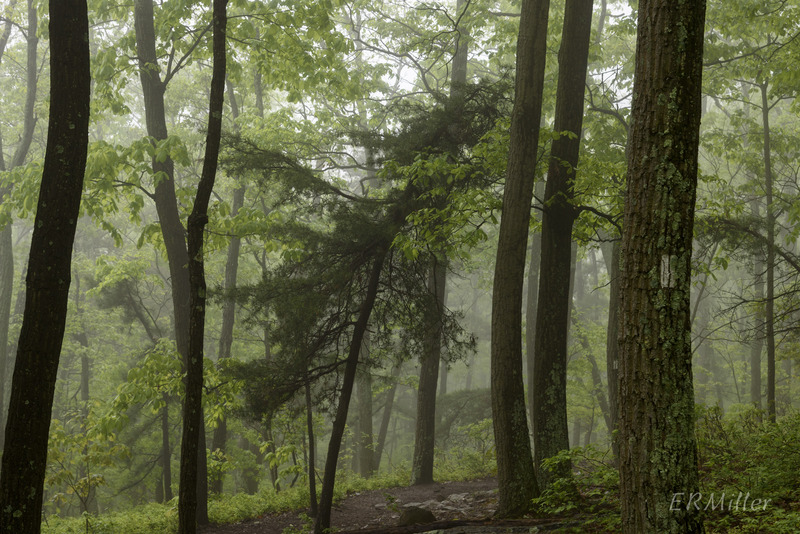 Anyway, there are two other species of pine that I see fairly often on Sugarloaf (and other natural areas in the Maryland Piedmont): white pine and scrub pine. White pine is familiar to many people as a popular landscape tree. In the right conditions is grows fast, straight and true, providing shade, privacy, and a pleasing light green fluffy backdrop. Unfortunately it is also susceptible to “white pine decline”, a mostly abiotic problem but this isn’t a gardening blog so I’ll just provide a link. 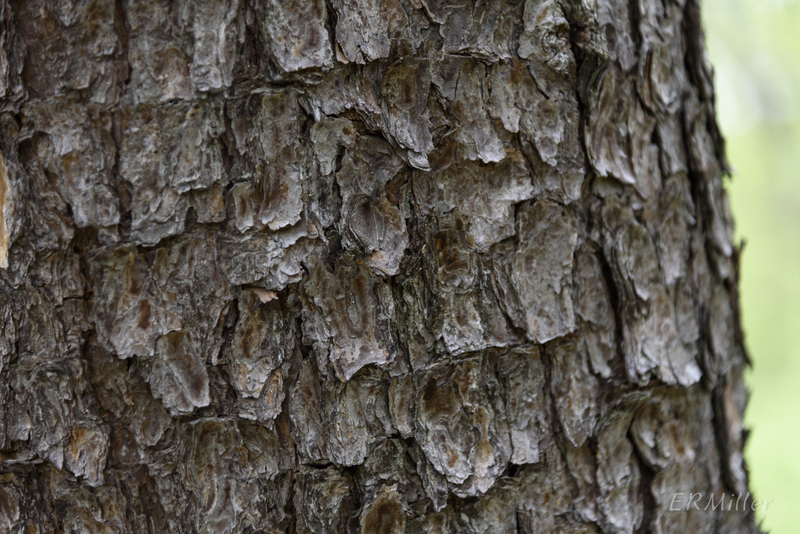 Eastern white pine is found in the eastern half of the US and Canada, except for the Deep South, and is listed as rare in Indiana. Specimens found in the woods of course won’t be as stately as the ones in landscape gardens, but it’s still a nice find. According to the Maryland Biodiversity Project, this tree is native only to the westernmost part of the state, but is naturalized and can found throughout most of Maryland except parts of the Coastal Plain. 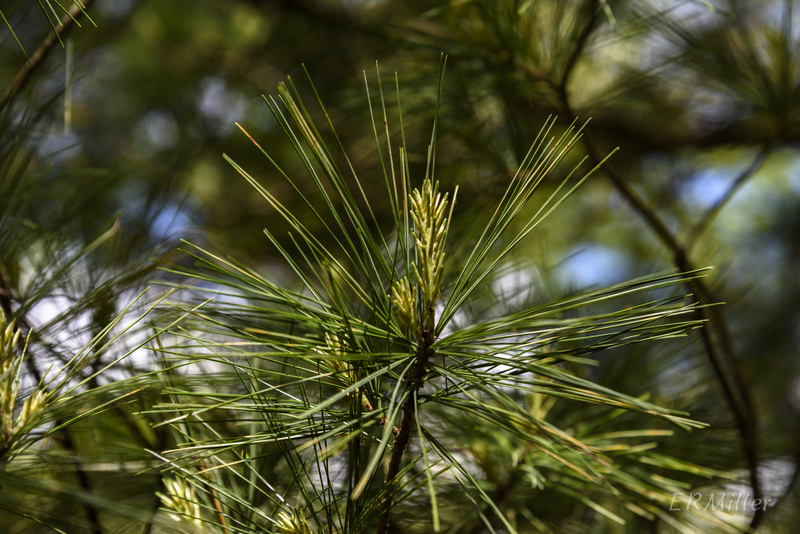 It’s fairly easy to identify, as it is the only pine in this area to have needles growing in bundles of five. They tend to be several inches long, soft, and a light gray-green. 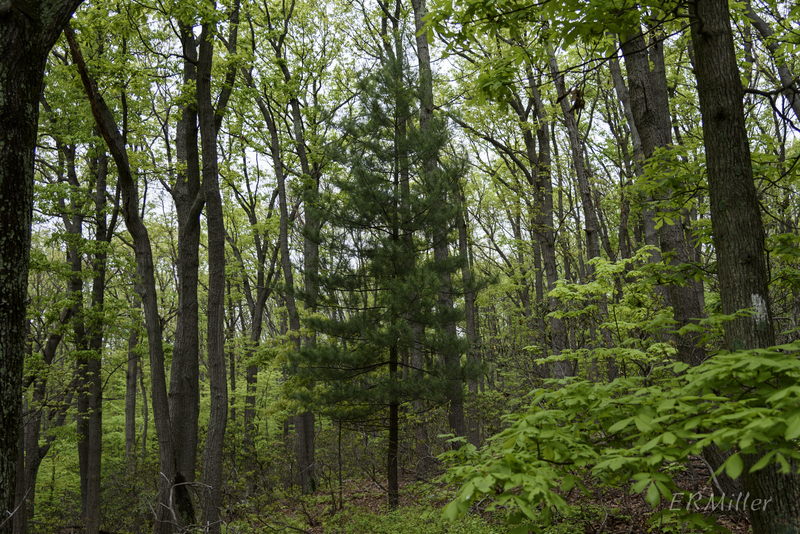 As beloved as white pine is in the landscape, scrub pine is not. I’ve never met a landscaper or gardener who would consider using one. But there were several at my former house, and I just loved them. I had a hammock slung between a scrub pine and a black gum, and would lie in it quietly, watching the black-capped chickadees crawling up and down the trunk of the pine. Scrub pines grow crooked and the branches and needles are sparse, but they add interesting texture to a manicured landscape. Scrub pine is found from New York (where it’s endangered) in the north to Georgia in the south and as far west as Missouri. 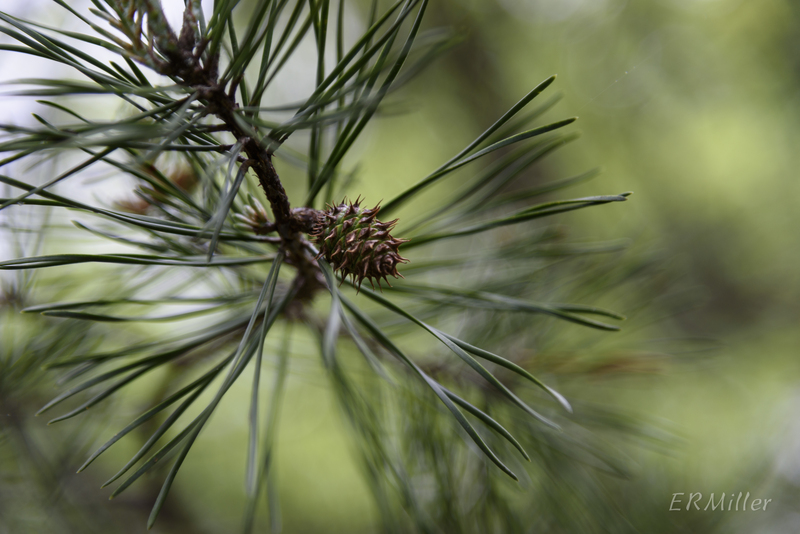 It has shorter, darker needles than white pine, and they’re found in bundles of two. In motor racing a yellow flag shown to competitors is a warning: there’s a potential hazard on or near the racing surface, something that could cause a serious problem. “Yellow flag” is a good name, then, for this particular iris. Native to North Africa and Europe, it was introduced to the US and Canada in the early 1900s as a garden ornamental. 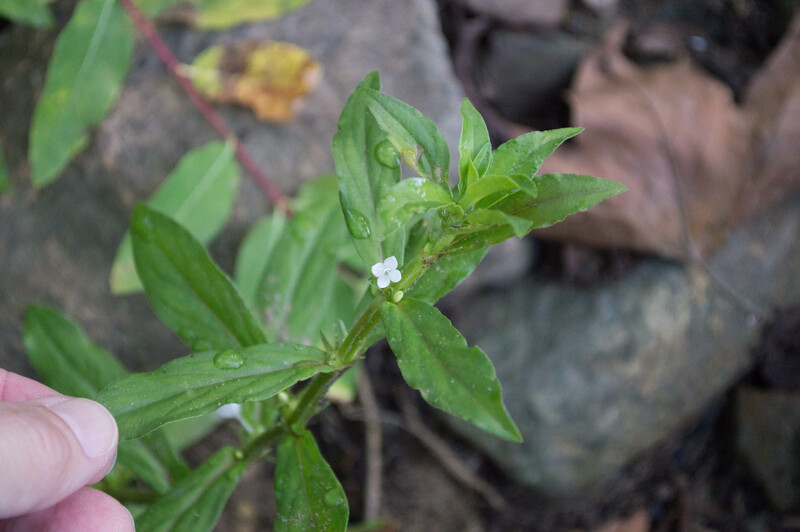 As early as 1911, it was found in the wild in Newfoundland, and it took only a few decades to establish itself as a serious wetland pest, capable of outcompeting all other plants to form dense monocultural stands. 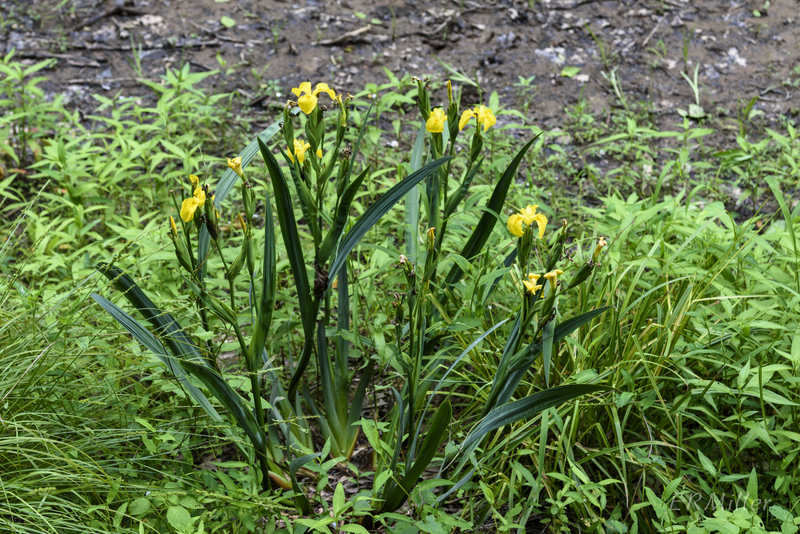 Like many invasive species, yellow flag iris is highly adaptable to a variety of growing conditions. It prefers to grow in shallow water or wet soils, but once established it is surprisingly tolerant of lower moisture levels. It also tolerates low oxygen levels, high organics levels, and it will grow in a wide pH range, from highly acidic to slightly basic. Despite all this bad news, if controlled yellow flag iris can be useful. It has been shown to significantly reduce levels of pathogens, including E. coli and Salmonella. It is known to be able to remove heavy metals from wastewater and has been used in sewage treatment systems in the Czech Republic and China. It’s a stunningly showy plant, a perennial that stands up to five feet tall with dark green foliage and bright yellow blossoms. 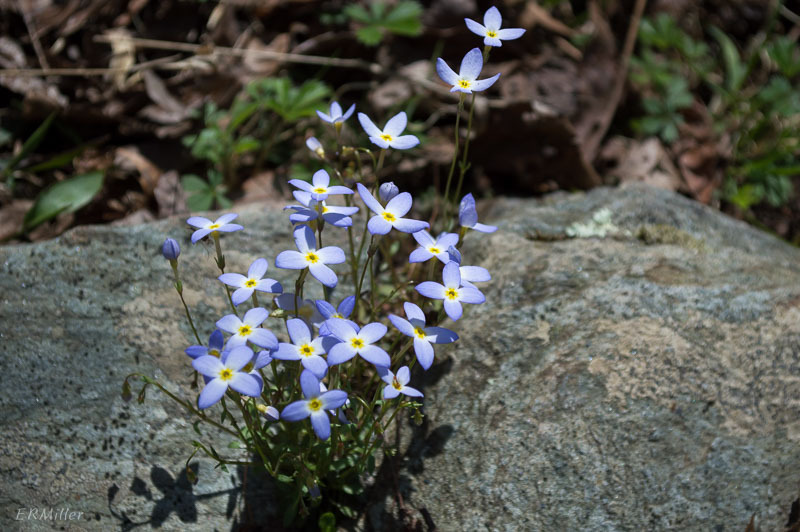 It’s now blooming in several parts of the recently de-watered parts of the C&O Canal near Carderock. 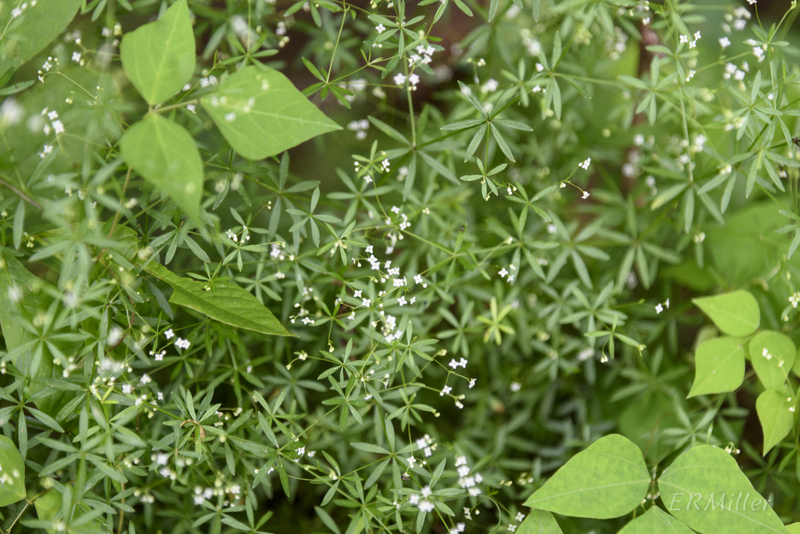 Found in most of the US and Canada (except for 13 states and provinces), it’s reported as invasive in 12 states, including Maryland (where it’s been found in eight counties) and is listed as prohibited or noxious in six states. If you go botanizing during growing season, year after year, you notice trends. For example, there’s almost always something in the Asteraceae (daisy family) blooming, but the family really gets going in high summer and into autumn. Plants in the Violaceae (violet family) bloom in early spring and are done by the time the earliest Lamiaceae (mint family) start. And so on. This is the time of year for the Rubiaceae, or madder family. Worldwide, it is the fourth largest flowering plant family in terms of number of species (Asteraceae, Orchidaceae (orchid family), and Fabaceae (pea family) are first, second, and third). Depending on which authority you consult, there are about 13,500 species in more than 600 genera. The Rubiaceae is a cosmopolitan family, with species found worldwide except in the polar regions, but most are in the tropics or subtropics. The plants can be trees, shrubs, lianas, or herbs. Some are well-known garden ornamentals (pentas, ixora, gardenia), and some are economically important, producing dyes (like madder), or drugs (like quinine), or beverages (coffee!). 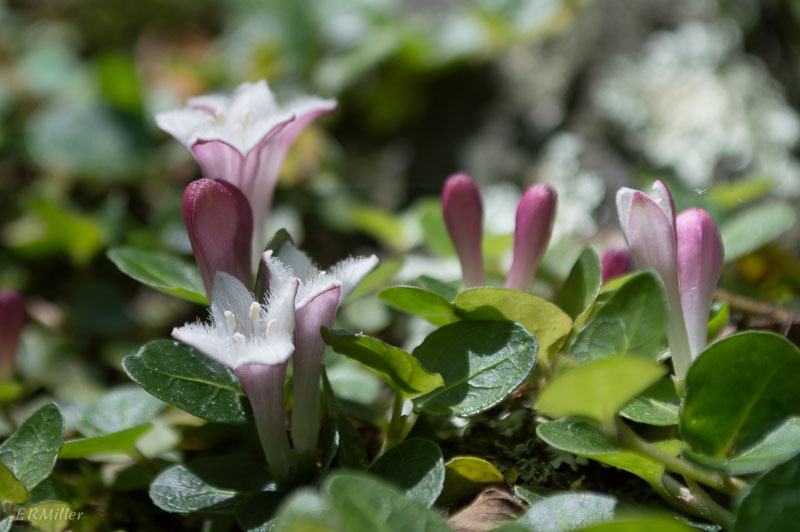 In Maryland, Rubiaceae is tied with Onagraceae for 13th place, with 39 species. (Asteraceae is first, Fabaceae second, and Orchidaceae is tied with Plantaginaceae for 9th place.) I gleaned this information from the Maryland Biodiversity Project but did not weed out the aliens, so if you count only natives the rank may change. But you get the idea. Geez, this is starting to read like baseball stats. Looking at just the sampling of species here in Maryland, you can see traits that characterize the family: flowers consist of four petals, often pointed, partly fused into a tube; there are two leaves or more per node on the stem (opposite or whorled arrangement), the leaves usually entire, and often there are stipules. 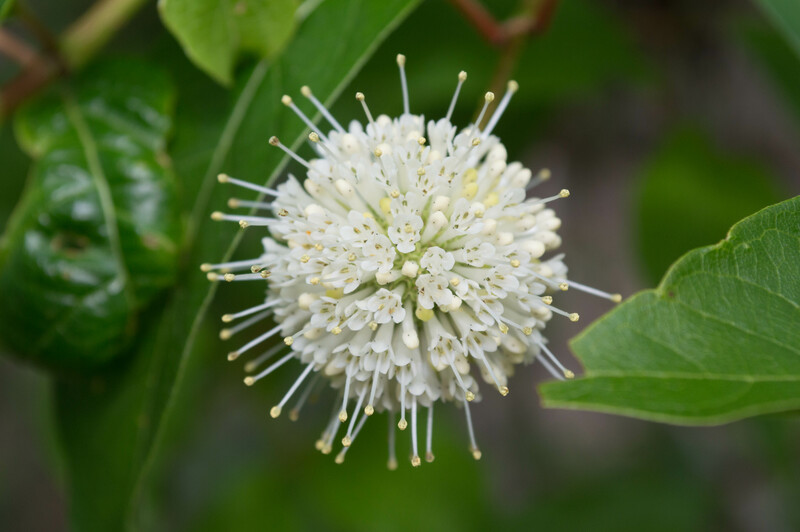 Most are herbaceous, except partridgeberry, which hugs the ground and never gets more than an inch tall yet has a woody stem, and buttonbush, which is a shrub. I should note, though, that there are many exceptions to these traits in the worldwide accounting of species. © Elizabeth R. Miller and elizabethswildflowerblog.com, 2014-2018. Unauthorized use and/or duplication of this material without express and written permission from this site’s author and/or owner is strictly prohibited. Excerpts and links may be used, provided that full and clear credit is given to Elizabeth R. Miller and elizabethswildflowerblog.com with appropriate and specific direction to the original content.